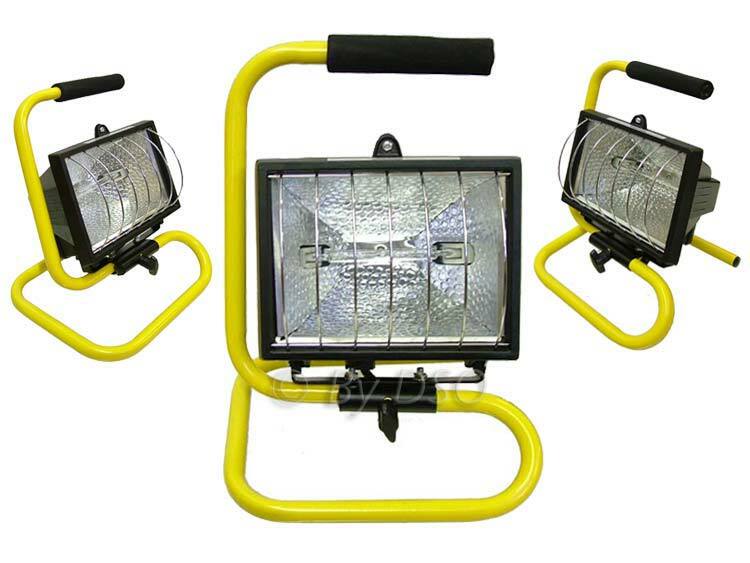 This lightweight spot light features a quartz halogen bulb giving you very clear uniformed brightness continuously. The light fixture is made from a tubular constructed design manufactured from aluminium which makes the stand very lightweight, it also has a pivoting stand allowing forward and back tilt. The coating is made from baked on enamel making this weather resistant. Heat proof tempered glass covers the bulb and a chrome plated wire guard keeps you safe from accidental burns. The comfortable convenient handles allows for easy transportation.